Another Sunday, another Sunday High Roller title for 'sentapied99'. Sunday saw both the PokerStars World Series of Online Poker and partypoker Powerfest tournament series get underway with millions of guaranteed prizes on offer to players over the next three weeks. 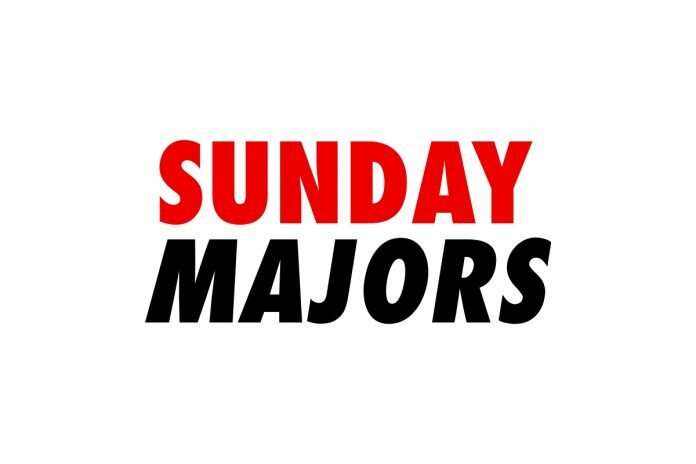 Aside from the first tournaments kicking-off in WCOOP and Powerfest, the normal Sunday majors got underway with some big names scoring with results. Anatoly ‘NL_Profit’ Filatov came through a tough 61-player field in the PokerStars $2,100 Sunday High Roller to claim victory and the $37,908 first-place prize. The final table featured well-known names such as Andres ‘probirs‘ Nemeth, ‘WushuTM,’ and ‘C. Darwin2‘ but they all fell before the final three spots. ‘T-Macha’ took the bronze medal for $18,048, which left a heads-up battle between Filatov and online legend ‘bencb789‘. But Filatov was able to get the better of the high-stakes grinder for the top prize, with ‘bencb789’ having to settle for $23,856 in second. Sweden’s ‘Machiavelli3‘ defeated ‘33juggernaut‘ heads-up to take the win in the PokerStars $530 Bounty Builder High Roller for $36,760. After Samuel ‘€urop€an‘ Vousden exited in fourth place for $14,477, cartoon2387 was the next to fall for $19,750, as the final battle was set. ‘Machiavelli3′ who is currently ranked no. #58 in the PocketFives Rankings, was able to go the distance and sent ’33juggernaut’ to the rail in second place for $26,944. The partypoker $2,600 Sunday Super High Roller title went to ‘Sentapied99‘ for the third time in 2018. partypoker ambassador Phil Gruissem reached the final table alongside current PocketFives #2-ranked ‘HellmuthTheGr8‘, but they were the first two players to exit. After a flurry of further exits, ‘Roque_Str8 took third place for $32,500. ‘firgli‘ was unable to prevent a third Super High Roller title of the year for ‘Sentapied99’ and exited as runner-up for $46,250, as the latter added another $66,250 to their bankroll. ‘TheRepoMan86‘ outlasted ‘RedDwarf9‘, partypoker ambassador Joao ‘joaosimaobh’ Simao and this week’s partypoker Super High Roller champion ‘Sentapied99’ to claim victory in the partypoker $1,050 High Roller. ‘Sentapied99’ just missed out on a second podium finish of the day after they took fourth place for $11,135. Simao took the bronze medal for $15,720, and ‘RedDwarf9’ was rewarded with $21,615 for the silver as ‘TheRepoMan86’ claimed the gold along with $30,116. ‘PokerBrothersTM‘ won the partypoker $530 Sunday Main Event for $29,850 after a heads-up victory over ‘InthisCity’. Regular high-stakes tournament player ‘Chelsea72’ took the bronze medal for $15,150, before ‘InthisCity’ was the last to fall in second place for the $21,600 runners-up prize. While the 888poker flagship Whale tournament did not run this week, the $215 Sunday Mega Deep saw 433 entrants and a first-place prize worth $19,500, with ‘Pik00rs’ taking the spoils. ‘Mr.McMark777‘ got a five-figure score worth $11,000 for third place before the final heads-up battle took place. ‘LevelingMode‘ had locked up $14,500, but was unable to get the better of ‘Pik00rs’ and the latter won the addition $5k for first place.